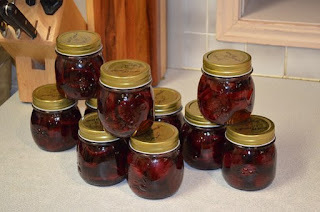 There is another method to preserve your summer bounty and that would be canning. 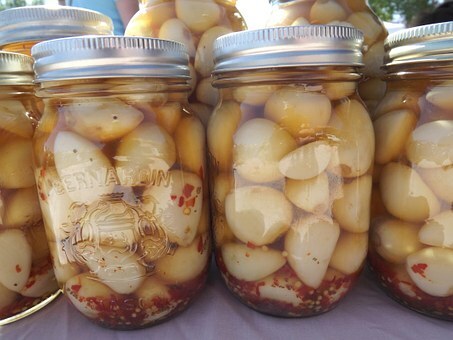 Canning has had a resurgency in resent years as people have been looking for ways to save money and keep their food preserved to be used at a later time. Some may remember their grandmother pulling out the old canner, a load of mason jars and lids and bands. Mine never did so I had to learn how to can myself and I have been using this method for many years now. I don't can a lot of different items but stick to preserving all of my stock that I make so the family can make fresh soup any time they want. I do occasionally can some extra spaghetti sauce, beans or soup so we can use it later or the kids can have some pasta for lunch. 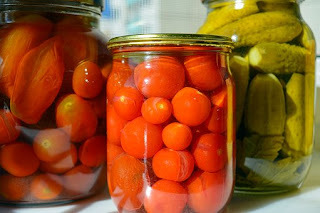 I do find it interesting that we call it canning when we use jars to preserve the food in and not tin cans. I am pretty sure this comes from the fact that the Ball Jar Company was originally in the tin can making business and branched out into making glass jars. Canning is not really very difficult to do and in a method I will describe shortly, gets even faster and easier. There are two methods of canning- pressure canning and water bath canning. Which method to use is determined by what you are canning. With pressure canning you are heating the food in jars (specially made, thicker glass jars) under pressure so the steam generated will get the food to a higher temperature and kill any bacteria that will make you sick. Water bath canning puts this same jar under water that is boiling and the heat goes no higher than 212 degrees (since that is the temperature water boils at). Water bath canning is used for highly acidic or highly sweetened foods, such as tomatoes or jams and jellies. Pressure canning must be used for other foods with a low acid level such as meats, soups and the like. To be sure which method to use, I highly recommend anyone wanting to can to buy The Blue Book Guide , by Jardan Home Brands. It is called The Blue Book because it always had a blue cover on it and anyone that has canned, is familiar with it. Jardan are the makers of Ball canning jars and this is the bible of canning. It has LOTS of recipes and methods on how to can everything. The book has been in production since 1909 under one name or another and it's procedures for canning are tried and true and if followed properly, will ensure you will not get sick. It is currently in it's 37th edition. Water bath canning is pretty easy. In general, this is the method- place hot food in hot jars, remove air bubbles, place hot lids on the jar and close with band to hand tight. Place the filled, sealed jars in a pot of hot water so that the water completely covers the jars. Boil these jars for the recommended time (see the recipe in The Blue Book) and remove from the water after this time has elapsed, placing on a dish towel on the counter until the jars have cooled, which will take a couple hours. 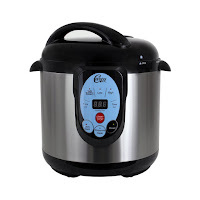 Pressure canning is done almost the same way as water bath except you must use a special pressure canning pot. The hot filled jars are put into the canner with only enough water to go half way up the jars. The lid gets sealed and the pot must boil until the prescribed amount of pressure has built in the pot. Only then do you start to countdown the amount of time it needs to cook. Recently, I heard about a new type of electric pressure canner that I just had to try out. I highly recommend the Cary DPC-9SS Pressure canner . Having compared it to other electric pressure canners, this is the only one that has a large enough cavity to fit 4 quart sized jars. Once you get the hot food into the hot jars, you basically set the timer on the unit and let it go. It monitors the pressure and the time and you're done. This has actually helped me get a lot more stuff canned since it has made it so much easier to do. It is a far cry from having to adjust the heat from your stove (which is rather difficult with an electric stove) to be sure the proper pressure is maintained. Using the proper jars is essential. They come in all sizes and some have pretty designs on them. You will usually be using pint or quart sized jars for most of your canning. They also come in regular or wide mouth, depending on how big of an opening you need to get your food into the jar. You do not want to use old "mason" jars (a competing brand of canning jars with Ball) that you find in a thrift store. Using grandma's old jars is good for keeping dried goods in, but not to pressure or water bath can. These old jars could have cracks or chips that will effect the stability of the glass under pressure and cause them to explode. Start out with a fresh case of jars from almost any store. They sometimes have lids and bands with them to get you started, if you buy a case that has them packed with the jars. Once you have a supply of jars, you can reuse them indefinitely. New lids need to be used anytime to can to ensure they get a good seal. Bands are what hold the lid to the jar and you can reuse these time and again until they start to rust and then they need to be replaced. This has been a primer on canning and perhaps I will post again, more in depth about the methods and recipes. Again, I recommend that you get "The Blue Book" to get you started. Read up on the recipes it has to give you new ideas for putting away your extra foods to be used later. It that time of year where anyone that has planted a garden has to face- who am I going to give all of these tomatoes and zucchini to? When I plant my garden, I usually plant about 20+ tomato plants of different types and some zucchini, as well as several other kinds of veggies. When they all start to produce their fruit, I have to figure out what to do with all of it. Eating 5 pounds a day of tomatoes can be a bit much for any family. What I am going to go over is some ways to store this bounty for those drab days of winter when fresh vegetables are hard to come by or expensive at the store. There are a couple of different ways to "put up" your harvest for another time. There is freezing, drying and canning. These are the most used ways to get the job done. In this post, I am going to cover freezing. Look for new posts later on canning and drying. 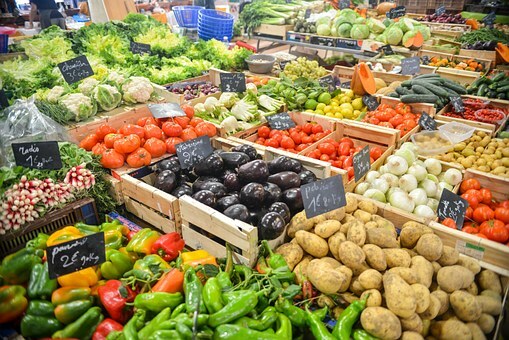 Freezing involves preparing the vegetables by cleaning, trimming and blanching and putting in the freezer until they are frozen through and then portioning them to meal sized portions for future use. What fruits and vegetables are suitable for this ? Freezing works well with denser items that have a lower amount of water content to them. 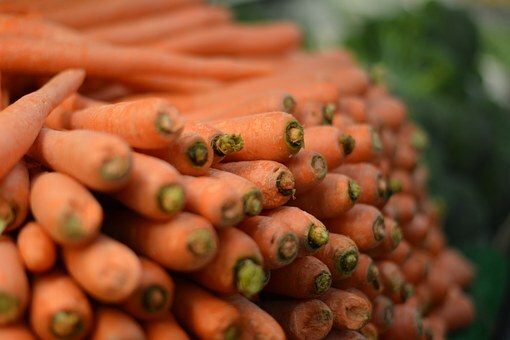 Carrots, okra, green beans, celery, broccoli, cauliflower, onions, winter squash, berries, apples, pears, blueberries, tree nuts and peppers are just some that take to freezing well. Items that do not are summer squash-zucchini and yellow squash, cucumbers, some tomatoes (more on that later) and potatoes. 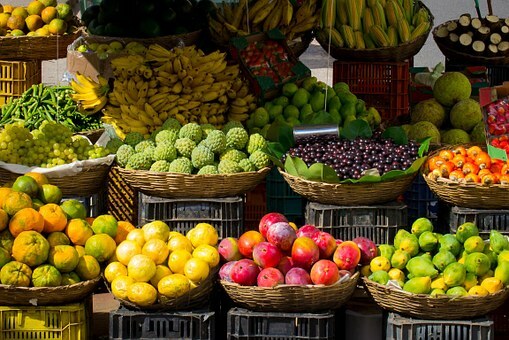 Here is the best way to prepare your harvest for freezing. Wash and trim any blemished veggie. Get a pot of salted nearly boiling water ready on the stove. When the water is about 180- 190 degrees, drop in batches some of your veggies. Allow to be in the water for about 30 seconds. You are just using this to ever so slightly cook the veg and kill any bacteria that is on it. Remove after 30 seconds and drop the veg into an ice water bath. This will stop the cooking process. After the veg has been thoroughly cooled, remove from the shock bath and allow to air dry for a few minutes in a colander so excess water can drain off. After the veg has air dried for a few minutes spread them out on a sheet pan that has been lined with wax paper . Put the sheet pan with your veg into you freezer and allow to freeze for a couple hours until frozen solid. After the veg has frozen solid, remove from the freezer, loosen from the pan by lifting the wax paper. Put your frozen veg into zipper bags , I recommend quart sized bags. The pint sized bags will yield about a pound of veg, depending on what it is, and will be enough for a family sized meal. Use quart sized bags if you want about a 2 pound bag for storing. Burp the air out of the bags, flatten and stack back in your freezer for use as needed. 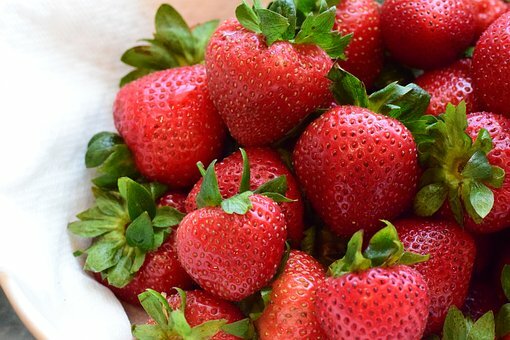 You will not need to do the blanching step when processing fruit like berries, cherries, apples or pears. 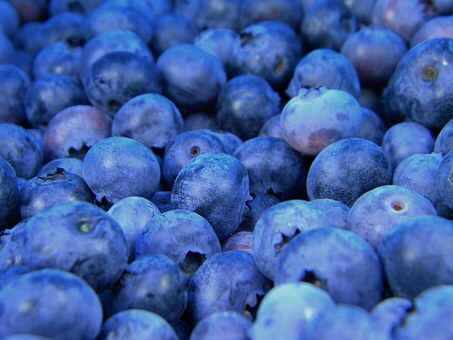 Just make sure they are ripe and free from blemish, then lay out on the sheet pan and freeze. After they are frozen, remove from the sheet pan, bag and put back in freezer. Frozen fruit is excellent for making smoothies. The frozen fruit will add body and coldness to the smoothie. Some tomatoes are okay for freezing. Juicy, slicing tomatoes are NOT good for this as they are usually a little more delicate and will not freeze well. Roma type tomatoes work good for this and I have put up lots in the past and used them in stews and soups. The consistency of the tomato will get a bit mushy when frozen but goes unnoticed in a stew or soup or when an ingredient in something. Canning type tomatoes are acceptable when frozen when used the same way. Just skin the tomato after blanching, destem it and cut up as you will be using it, like rough chopped for a stew or soup. Tree nuts, like almonds, walnuts and pecans are easy to freeze. All you have to do it get them out of the shells, make sure they are free from any bugs or rot and put them in zipper bag and pop in the freezer. Take as many as you want out of the freezer and put the rest back in. Keeping them frozen will keep the oils in the nut from going rancid and keep them fresh a lot longer. 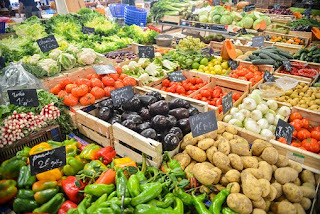 Even if you are not able to have a garden, let someone else do the growing and get their bounty at a farmer's market or grocery store when the item is on sale and freeze and store for later in the year when these things are more expensive. All you will have to do then is go to your freezer and open a bag. I have done this when there is a lot of produce on the mark down rack at some stores and it still looks acceptable for use. I hope that helps you prepare for winter and save a ton of money in the process. You will be thanking yourself in winter for the little bit of work you did in the summer. How often do you see a good sale price of fresh corn on the cob at the supermarket? I usually only ever buy fresh corn on the cob when it is no more than a quarter an ear. So what happens is you get caught up with that great sale price and get a few too many ears than you really need? 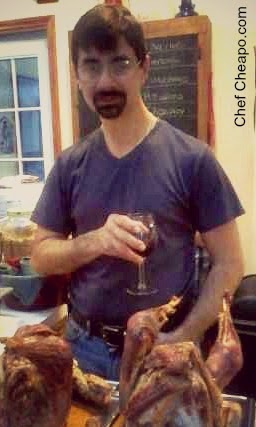 Well, I will get to that later but first, how do you cook that great, fresh ear of corn? Here is my favorite and usually, only way I ever cook corn on the cob. Instead of pulling off all of those husks and dealing with all of that silk, leave them on and simple trim the tip end off with a chef’s knife to get off any cornworm mess or unformed kernels. Leave the husk on and put all of the corn into a sink full of water. I will soak the ears in water for about a half hour, letting the water get into the ear and letting the outer husks to get pretty well soaked. 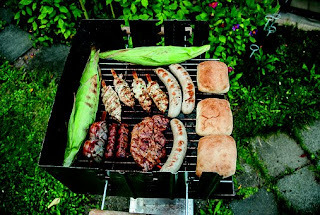 Put all of these on your grill, medium heat, turning every 10 minutes or so to get all 4 sides of the ear cooked well. You can close the lid on the grill if you use a low heat. Now you can’t actually see the corn to know it is cooked, so you will have to go by how browned the husks are. Seriously, if you use a medium to medium low flame, the outer 2 layers of husk should be pretty well dried out and browned. It’s okay, the corn will be fine. Now, using a pot holder, hold the ear by the base and pull the husk off. All of the layers of husk will pull right off with one pull on each side. The silk will usually come right off with the husk, but otherwise you will find it comes off A LOT easier than before it is cooked. Smother this ear in butter and salt & pepper and enjoy. 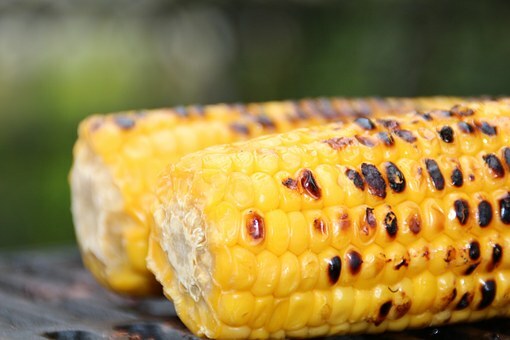 You will find that this corn will be more flavorful than anything you cooked in a pot of water. The water trapped between the husk layers will steam the corn and the dry heat from the grill will condense the flavors of the corn as it burns the steam off and any burned or browned kernels from the grill will actually have MORE flavor. If you ever had fresh corn at the state fair, this is it!! Save the $3-$4 you would pay at the fair and do it yourself. So what do you do with all of this extra corn you have now? How about fresh corn the next night for dinner? Basically, for any recipe you make, all you have to do cut the kernels off the cob and use it any other way you would use corn. You can do this with a special device , also known as a corn on the cob stripper for removing the kernels or just use your chef’s knife and cut down the cob at the base of the kernels. One of my family’s favorite meals from this is corn chowder. A basic soup recipe of thickened stock (a veloute) with an assortment of veggies- celery, onion, peppers, corn of course, and a bit of cream to finish before serving. Awesome!! If you are really inundated with extra corn or want to stock up for the winter, take the decobbed corn and lay it in a single layer on a sheet pan lined with wax or parchment paper . Put this pan in the freezer for 2 hours and let the corn get frozen solid. Loosen off the pan, put into quart zipper bags and put the bags back into the freezer. Using the 1 quart size will give you just enough corn to pull out one bag and have just enough for a meal. 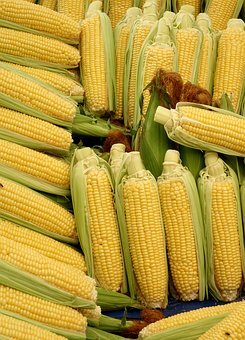 Other suggestions, to offer just a few ideas, are Mexican corn, corn o’ brien, succotash, simple buttered corn. We also like to use our favorite Cajun Spices or Mexican pepper spice blend on it and add a bit of kick to the corn. It may be corny, but Chef Cheapo saves you money and helps you eat better. If your family is like my family, chocolate syrup is a favorite condiment in your household. We use it in milk, over ice cream, mixed in kefir, in smoothies or any other food you like. After reading the ingredient list for just about every brand, I discovered that they all have HFCS (high fructose corn syrup) as the main ingredient. I guess I shouldn't have been surprised. There are a few brands that use real sugar, mostly on the Mexican foods aisle, but they are a bit pricey. After reading what the ingredients were, I set out to make it myself, only cheaper and better for us. Yes, I would not say that chocolate syrup was healthy, but in moderation and without the blatantly detrimental ingredients in it, one can enjoy it. This recipe is very easy to make and once done, I think you will be surprised why you didn't make it yourself before. That's it!! Very simple. As far as storage, I would say it will likely be fine to leave on the cupboard shelf since it is all sugar, which usually does not allow for mold growth, but if you have the fridge space why not keep it in there, just to be safe. 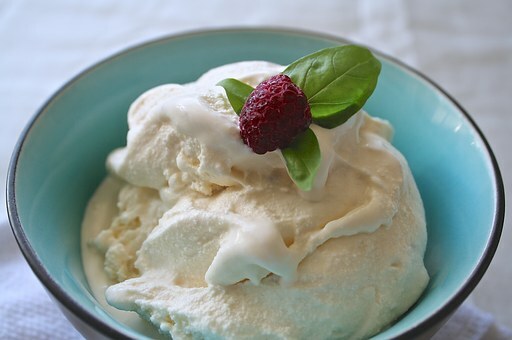 The vanilla is a needed addition to this as it will add more depth to the flavor. Without it, the flavor will seem very flat. 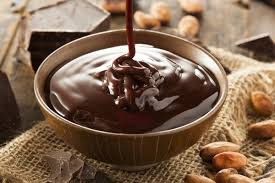 You can add cinnamon , nutmeg , cloves and even chili powder (be sure it is JUST powdered chilis and it isn't a chili powder blend, having garlic powder, onion powder, salt, cumin or any other spice added) to this chocolate syrup to really jazz up the taste. The cost for this comes out to about $2 for the 48 ounces, which is a big savings over the $2 a 12 ounce bottle at the grocery store. A smile should come across your face as you realize the savings while eating that bowl of chocolate covered ice cream. If you are like many people, the thought of a freshly made Belgium Waffle is very exciting. Popping it off the griddle and lathering it up with butter and syrup sounds really good. 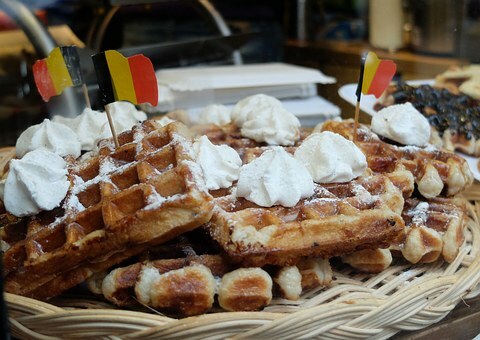 Most of not all of the mixes you find in the grocery store produce something resembling a waffley pancake more than an actual waffle. In fact, many of these mixes are sold as, "Pancake and Waffle Mix". Checking the ingredient list I noticed that all of these mixes are missing one vital ingredient that you will find in commercial mixes- corn. So I decided to try and replicate my own mix. 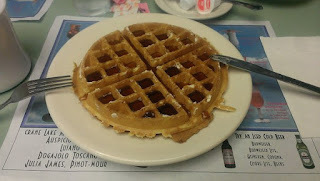 The corn meal adds the bite to a waffle that pancakes don't have. When cooked on a waffle iron , the corn crisps up and gives it that crust. My mix is not only tastey, but a lot less expensive than what you will buy in the store. 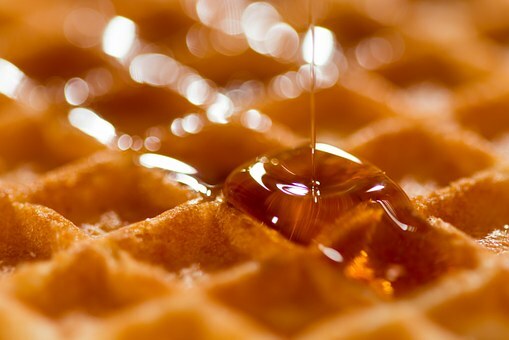 One of the ingredients, malt powder or malt syrup is not something everyone will have in their pantry. If you do not have it, you can omit it or add molasses instead (this can also be purchased at any beer brewing supply store). I think the molasses will give it that unique taste that the malt would add. When I make this batch of waffles, it is always enough for everyone to have extras and then have even more that I put into the freezer for the kids to eat during the next week or two. I prefer to use buttermilk for the liquid. 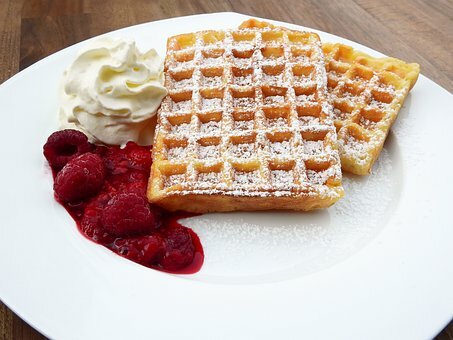 The acidity of the buttermilk reacts with the baking soda to give the waffle its airiness. Kefir (fresh, unflavored, preferably homemade) will have the same effect. You can use milk but you will be losing some of the flavor the buttermilk would add. Sift together the dry ingredients into a large mixing bowl. Add eggs and butter (and malt syrup), then your milk. The amount of milk needed will depend on a couple factors, so an exact amount is hard to say, but it will be about a quart. 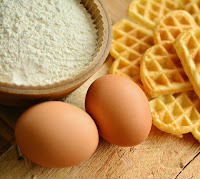 The batter should have a thin consistency, not as thick as pancake batter because it will need to spread when you close the lid on the waffle iron. Cook the waffle as the maker requires to your desired degree of doneness. Enjoy! A couple of footnotes. I bought an old waffle maker at a thrift store about 15 years ago and it is still working fine. I had to replace the plug once, but I used one from another appliance that was broken. I have seen plenty of waffle makers in thrift stores so I suggest you look for one there first. Kefir is a fermented, live culture milk product that is so easy to make at home, that no one can say they can't do it. I will write a blog about it in the future. Buttermilk is also a fermented, live culture milk product that is equally as easy to make as kefir. If you buy either in the store, be sure you get ones that are live culture and do not have added ingredients like carrageenan, guar gum, whey, etc. These are not needed to make buttermilk, but they are added so the manufacturer can cut corners and time in production. Currently we have a dozen chickens and 4 female ducks and let me tell you, they can lay some eggs when they want to. Occasionally we get inundated with them and we can sell them or I need to cook something to get use them up. Sometimes, I will hard boil a dozen or so and eat them for breakfast or make a scrambled eggs in the morning before I head to work. Some of the ideas here are for storage and they are great tips for when eggs are on sale and you can buy some extra. Here is a bunch of egg facts I have collected. -There is no difference between brown, white and green (yes there is a chicken that lays green ones), except for the chicken that laid them (and of course what the chicken ate and how it lived its life). -To determine whether an egg is fresh without cracking it, put into a pan of water. If it sinks it's good, if it floats, it an old egg. It does this because the air pocket in the egg gets bigger as it ages. -Room temperature eggs beat up fluffier than cold eggs. -For fluffier scrambled eggs and omelets, add a pinch of cornstarch to the eggs before beating. 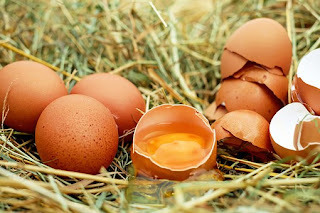 -Season your eggs BEFORE cooking to get a good flavor. I recommend a pinch of onion powder, salt and black pepper, but fresh (or dried) herbs are good too. Adding seasoning prior to cooking always yields better flavor. -I recommend using schmaltz or bacon fat to cook your eggs in. You will get even better flavor from these fats and they have a high burn temperature so you can cook the eggs quickly on high heat. -Duck eggs can be eaten just like chicken eggs except they must be cooked a little less because of the higher fat content in them. If over cooked, they become rubbery. Duck eggs are EGGCELENT for baking with. the higher fat content of the yolks produce better leavening for your cakes and a richer taste. -Backyard or farm eggs ARE better than store bought. You can tell by the color of the yolk- the deeper the yellow or orange, the more nutrients the chicken ate and passed on in it's eggs. - A fast way to separate eggs- put your small funnel into a mason jar. 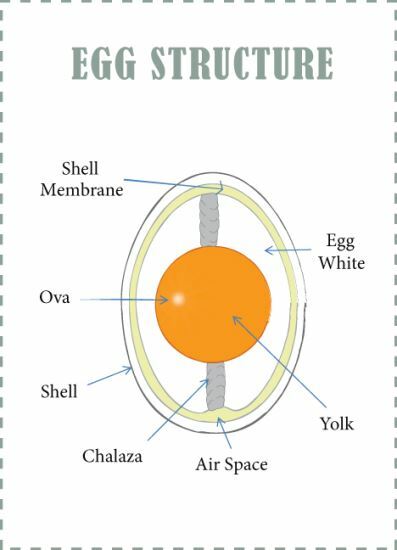 Crack the egg into the funnel, without breaking the yolk and the white will fall through the funnel and the yolk will remain. - Egg whites can be frozen for up to 1 year. I put 1 into each cell of an ice cube tray and freeze. When fully frozen you can crack it out of the tray and put into a container or zipper bag in the freezer. When a recipe calls for X number of whites, you can simply pull them out of the freezer and defrost. -When a recipe calls for beaten egg whites, add 1t of cream of tartar to each CUP of egg whites (7-8b egg whites). This helps stabilize the white from weeping and separating. -Chickens are NOT vegetarians. They are omnivores and if allowed to feed themselves (like in a backyard where they can roam freely) will eat bugs, grasses, weeds, mice, snakes and other (baby) chickens. In fact, the more protein they eat, the more eggs they produce. -To determine if an egg is hard boiled, spin it. If it spins, it's hard. If it wobbles and won't spin, it's fresh. -Use a tack or push pin and pierce the shell when making hard boiled eggs and the shell won't crack. -Add 1T of white vinegar to the water when making hard boiled eggs and any cracks that form won't allow the whites to pour out. This also works to keep the whites in one mass when making poached eggs. - Egg shells can be easily removed from hard boiled eggs by running cold water over the hot eggs. 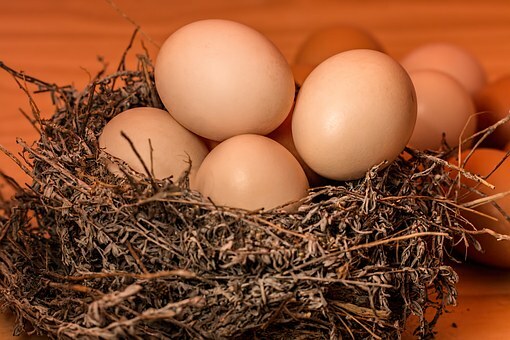 -Backyard eggs can be stored on the counter for up to 2 weeks without refrigeration as long as they have not been washed like commercial eggs. The egg gets a coating as it exits the hen's vent which prevents bacteria from entering through the shell. Many bakers prefer room temperature eggs as they fluff up better than cold eggs. - Backyard eggs will have a much thicker shell than commercial eggs since the chicken was able to graze and get more nutrients in it's body that help produce the shell. 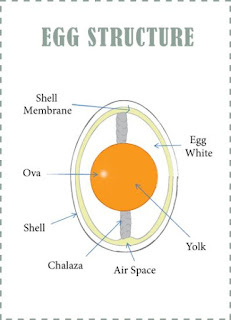 I have occasionally gotten a shell less egg from my chickens and I know they are deficient in calcium.